Deathmall had the most liked content! 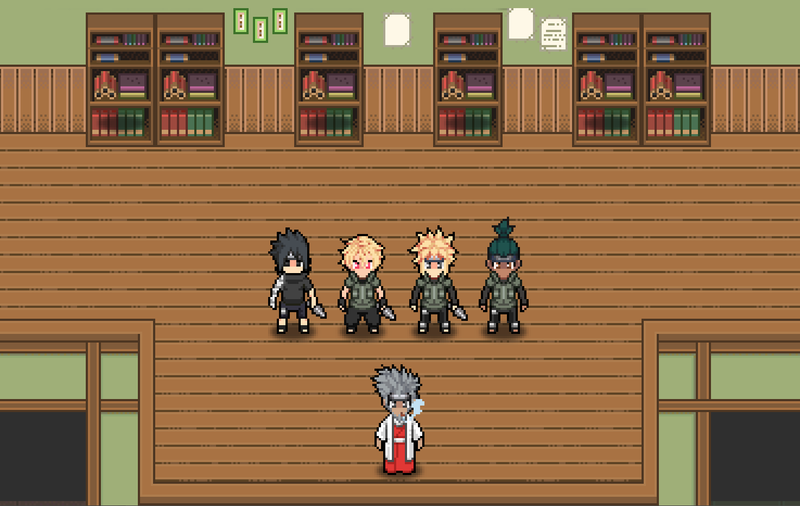 Deathmall is the Hidden Leaf's Third Hokage he was known to be one of three members of the Hidden Leaf's 1st Council. His presence on the battlefield is respected, as he is renowned as the Hidden Leaf's Lightning God during his prime. Deathmall specializes in two elements, Lightning & Water. Always around two ninjas who he trusts the most, Roodraak his Right-hand man and Hawt his Left-hand man. Aside from his contributions he lives a nice life, he has two sons (Michael and Rohan). Formed a team with @Caio Mirana and @Kuraen Wilkor under @Konahrifor the 3rd Chunin Exams and passed. His courageous efforts are all intended for the better of the Hidden Leaf, which he serves. Willing to put everything on the line for the sake of the village and for the future of its people. Although no one is sure where Deathmall was raised and came from he's known to be similar to the ninjas within the Hatake Clan and Nara Clan from many years ago. Some say he was the last survivor of a group known as the Hidden Shadows who all perished due to war circumstances others claim he was a test-subject who escaped from a secret laboratory within the Leaf. He is a very kind and reasonable ninja but his loyalty to the Hidden Leaf would never be questioned. Deathmall was the leader of many Raids and Defenses during the times of Lord First against enemies of the Hidden Leaf, and even during the time of the Second Hokage. He only retaliates during times when he sees the peace disturbed to ensure the safety of all his comrades. He led an Intelligence Organization within the Village known as the Red Moon. This is a tale of a ninja who sought to create order and increase public morale.. many sacrifices were made and his utilitarian efforts did not go unnoticed.. The complete past of Deathmall's came into being was never recorded. It was a time where one would often question the accuracy of what was being reported. The real truth never seemed to get out without it being placed in a box and just the small key representing the small fraction of what was told. 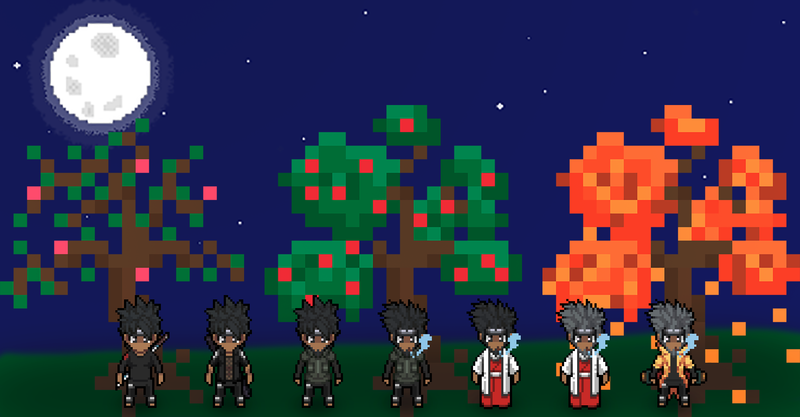 The real story of Deathmall began many years ago in a war that left some things untold between the Hidden Sand and the Hidden Leaf. He was very young when he lost his parents and lacked the proper guidance. Although his cousins decided to take him in.. he'd regret moving with them shortly after. Deathmall was in a small organization that was led by one of his relatives it was known as "The Hidden Shadows" they were completely neutral until the day they were forcefully recruited to fight for the Leaf against Sand in this war. 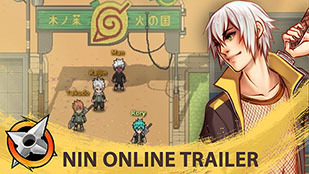 Young ninjas with no real experience in the ninja world were expected to fight on the frontlines. The day the organization and it's approximately 15 members charged in the battlefield was their last. The Commander of the Hidden Leaf's 2nd Line in the frontlines led them to a trap. Deathmall's cousin Hiro noticed they were being surrounded by Sand Ninjas and the circle just kept getting closer and requested immediate action by the Commander and he was unresponsive. As the circle of enemies began to tighten, Hiro's last words to Deathmall were "Continue our legacy, don't look back. RUN" The request left Deathmall stunned and his legs felt like they were moving on their own. This is what makes him want to refuse to give anyone any information on his past, cruel times seem to resonate every time that question is brought up and you can see the lightning spark from his finger-tips. Shinobi Rule #5 - A shinobi must never show any weakness. His past molded him to become a remarkable and popular ninja within the Hidden Leaf Village. Soon after the Hidden Shadows perished Deathmall started secretly leaving the Village without permission from his superiors to train at a young age. Working hard towards learning the forbidden jutsus from a scroll he found when digging through Hiro's belongings. He mastered many techniques but the one thing that he found out along the way his ability to use Lightning which was like no other and the academies would restrict and limit them. Sooner or later it would come to use and the great war that followed the next when Deathmall was no longer considered a child his abilities were not restrained. 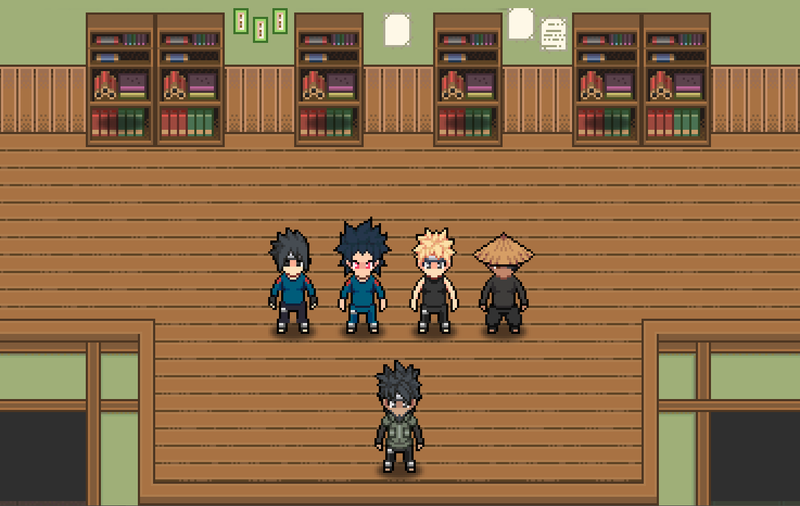 The voice, wisdom, and courage of Hiro were seen in Deathmall throughout his participation in the village affairs and his leadership led him to become one of the Hidden Leaf Council Members. Even after the Leaf leadership had betrayed his family the source of his great push for improvement was always to set an image and encourage leaders to rise up and avoid tragedies like the one he went through. After serving the Council and being the 2nd Hokage's right hand, he would follow as the Third Hokage. Deathmall never had a real figure to follow or someone who taught him the ways of being a Ninja. His experience with the ninja known as Wingless who he admired had improved him the most. He would spend most of his time training with her and considered her to be his partner in village defenses but as well as his ninja life. The goal is to always keep pushing for the improvements and as exhausting as it can be the safety of his village and its activities make him smile. He is now retired and spends days visiting some old friends who've retired before him.